Your Jacksonville, FL Gutter Installer! Rich Beyer, Brothers Gutters JAX-FL Owner/Franchisee. Our new franchisee and Brothers Gutters owner, Rich Beyer is set to launch in Jacksonville Florida in May 2018! Jacksonville, FL and the surrounding areas see almost daily rain during the warmer months, especially in the beachfront areas where there is more moisture in the air. A properly working gutter system is your home’s first line of defense against rain water. Without a gutter system, you may be sacrificing your home’s foundation. Continued pooling at your foundation can lead to cracks, flooding, and water damage. If you have a gutter system but it is not working properly and/or was installed incorrectly, the same damages could occur. Home to a number of beautiful luxury neighborhoods and a combination of mid-century modern architecture and historical districts, Jacksonville Florida is a thing of beauty. Hiring a reputable gutter contractor to help protect these beautiful homes and commercial properties is key! Rich Beyer, your local Jacksonville Brothers Gutters owner has a passion for leading team members in striving for excellence and to consistently deliver top-notch quality and customer service. Rich grew up in Tokyo, Japan for 14 years of his life and speaks fluent Japanese. He started his career as a U.S. Army Infantry Officer and earned the coveter distinction of becoming a U.S. Army Ranger. Rich served in Korea and at the Old Guard in Ft. Myer, Virginia where he led the Honor Guard and Drill Team in ceremonies throughout the country and aboard. After dealing with and referring The Brothers Gutters brand several times, among many other franchise models, he realized something. “What I learned during my time as a Franchise Consultant, was that The Brothers that just do Gutters had something a little different than everyone else,” he said. 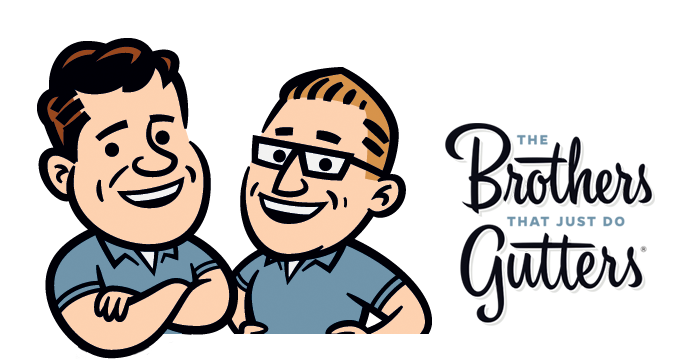 What really intrigued Rich about The Brothers Gutters brand was the owners themselves – Ken and Ryan, the company culture that they have created franchise wide, and the technologically advanced support that is a part of their business system. He also understands the importance of joining a business that services a need, not a want. “I live in a home in Jacksonville, FL that doesn’t have gutters, and I know there are a lot of other homes here that need gutters,” he said. Rich Beyer is a father to 3 children, a family man, and a husband. Rich is your local Jacksonville Florida gutter installer for any and all gutter needs. Trust in The Brothers that just do Gutters reputation to provide you with quality service and a high-quality product! Do you think franchising with The Brothers that just do Gutters would be the perfect fit for you too? Contact Dana today for information on available franchise opportunities!